You never know when a dental emergency will strike. While it would be nice if they occurred during the weekdays when the dentist offices were open, typically it happens in the middle of the night on a Saturday. Trying to find a dentist who has emergency hours available can sometimes seem downright impossible. That is why we’ve taken the hassle and stress away from finding a qualified dental professional for you, which can be futile when you find yourself in the middle of a dental emergency. With our detailed listings of emergency dental services in Portland, Oregon, you are bound to find a dentist who can help you when you are in a jam. We have researched each dental practice on this list and decided which offer the best dental emergency services for you. Trying to wait out a painful toothache until your typical dentist offices opens on Mondays isn’t always the best option. Postponing treatment can put you at risk for increased infection or additional damage. There are a variety of reasons why you should check out an emergency dentist when things just aren’t going right, but keeping your healthy your number one priority is definitely high on the list. 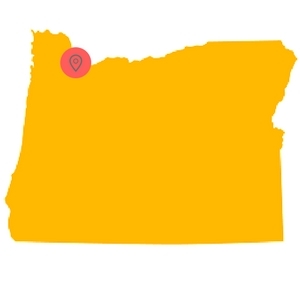 Our listings can help you locate a dentist in your local area in Portland in no time at all. Due to having a bad toothache one weekend, I was able to find this site and called right away. Emergency Dentists USA helped to get me in to a dentist the same day and I am forever grateful! Portland is a port city, which means it is always filled with the hustle and bustle of businesses and tourists. As the largest city in the state of Oregon, there is a large variety of emergency dental services available to you when you find you need treatment fast. 24-hour emergency dentists provide you with 24-hour care options, no matter the day of the week. While many are not always open 24 hours a day, they do offer an on-call service that gives you the chance to call and speak with a dentist about your current emergency situation. They can address any concerns you have and let you know if you should come in for treatment right away, or if this issue is one that you can wait to resolve. Walk-in clinics don’t make you wait until an appointment is available to be seen. Instead they provide you with the ability to simply walk into the clinic when you feel you are in the middle of a dental emergency and need to see a dentist. Clinics like Emergency Dental Care USA really cater to walk-in patients. After-hours clinics are a rare breed. They give you the flexibility of scheduling an appointment during non-traditional hours when it’s more convenient for you. Instead of operating on a traditional time schedule, they provide extended hours during the week into the evenings and even sometimes on the weekends. Clinics like Emergency Dental Care USA stays open until 9 pm, which is quite rare. The downtown Portland office of Emergency Tooth Doctor also stays open until 9 pm for those who need service after the normal office times. When you find yourself face-to-face with a dental crisis, it can be challenging to figure out a plan of action. You can become quickly flustered and lose your ability to think clearly. This is why our dental listings for emergency services can not only provide you time saving information but help in a pinch. Instead of wasting time calling around to find out who is available, you can know within a matter of seconds who you should be calling in Portland, Oregon for quick treatment. Description: When you need an urgent care dentist in Portland, OR, this is the best directory to call. By calling this hotline, you’ll receive a list of dental offices near your location that can help you during your emergency in a short time frame – all in one simple call. We’ll refer you straight to the dentist that fits your needs. Easily find Oregon emergency dentists with this service! Description: Emergency Tooth Doctor is open 7 days a week, 365 days a year. This means that, regardless of when your emergency strikes, you know you can count on Emergency Tooth Doctor to help you out. You can call their separate Portland offices we mentioned above, or you can call their 24-hour answering service at (503) 209-9935. Emergency Tooth Doctor accepts most insurances – and if you do not have dental insurance, you can learn more about the 0% interest payment plan that they offer. After you call, you can set up an appointment and meet with a dentist from Emergency Tooth Doctor that same day! Description: Open 6 days a week and focusing on those patients who might need to go to the dentist later on in the night, Emergency Dental Care USA provides a slew of services (such as wisdom teeth, broken teeth, and root canals) for their emergency patients. Walk-in patients are welcome, and this dental practice accepts most major credit cards, care credit, and even offers in-house financing (such as payment plans). Description: The dentists at Rose City Dental recognize that sometimes, an emergency happens – and it needs to be taken care of pronto. They offer regular emergency services at their office during their open hours – however, they also offer emergency appointments in the early morning (as early as 5 am), in the evening after office hours have closed, and on Saturdays per request. If you have an emergency, they make sure to see you the day you call and make that appointment. Rose City Dental also accepts most dental insurances, most credit and debit cards, cash, personal checks, and can even take payments over the phone. Description: Parkrose Family Dentistry is open quite late on the weekdays, which is incredibly helpful if you plan on getting that problem resolved after work. You can always call their practice phone number and let them know that you have an emergency that needs to be resolved as quickly as possible. Payment or co-payment is required at the time of service, and Parkrose accepts most credit and debit cards, as well as most insurance companies. Description: Jantzen Beach Modern Dentistry is open a bit later than most dentist practices, though not every single day. However, this practice states that if you have an emergency you should make sure to call their number (listed above!). You can also book an appointment on their website, though they really do recommend calling them during an emergency. When you are ready to prepare for your Portland emergency dental visit, you must first remember that it’s really no different than a new patient visit. You will want to determine which emergency dentist best suits your treatment needs ahead of time. This will help to provide you with the best possible treatment. You will then want to make sure you gather up any pertinent documents you may need, such as vital dental or other health records. This will help the new dentist gain some history on your medical and dental background quickly. If you can, try to arrive to your appointment at least 15 minutes early. This gives you a buffer of time to fill out any required paperwork so that you can help to speed your appointment along. While we’re not typically prepared for an emergency, it’s still important to know what type of payment methods are taken by the dentist and how you will pay for the treatment you receive if they do not take your insurance. Just like other medical appointments, it’s important that you let the staff know ahead of time if you are allergic to any medications. This will help to ensure a smooth process from treatment to recovery without any unexpected surprises. If you are someone who has a tough time and suffers from anxiety in seeing the dentist, make sure you let them know about this ahead of time, too. They can help to prepare you so that your appointment is much more comfortable. It’s important for you to remember that the information provided on Emergency Dentists USA is for reference purposes only. It’s not to be used as a substitute for actual professional medical advice. You will always want to talk to a dental professional to ensure you are receiving the correct information. With that said, here is a breakdown of some of the most common dental emergencies people face. A filling is a dental treatment that helps to protect any exposed tooth from the result of decay and cavities. Your dentist will clean out the decay and seal it up for protection with a filling. However, overtime, you may notice that your filling may fall out. This, while troublesome, is quite common in those who have dental fillings. You must never seal off the exposed tooth with glue as this can only damage it further. You can, however, go to a nearby pharmacy or medical supply store and purchase dental cement. This is a safe material that can help to keep the exposed tooth safe until you are able to get into see an emergency Portland dentist. A crown helps to protect your tooth from further damage or decay. But this doesn’t mean that it is immune against additional decay to the tooth. When decay happens underneath where a crown is placed, this can cause the crown to become loose, or even eventually fall off. When this happens, you will want to first make sure you keep your crown in a safe and cool area. This can help to ensure no further damage is done. 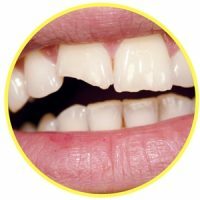 When a crown is out of your mouth for too long of a period of time, it can cause your teeth to shift in location, making it more difficult to place it back in. This is why prompt treatment by a Portland emergency dentist is an absolute must. A chipped tooth is not only a danger in terms of oral health, but it can also be quite embarrassing. 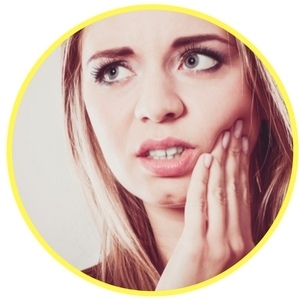 When you chip or even break your teeth, this can result in a large deal of pain. You will want to try to first gather up any of the broken pieces and keep them in a safe location. Rinse out your mouth with a mild saltwater solution to try to stop any bleeding. If you notice the bleeding doesn’t stop, you can place a small piece of gauze on the region and apply pressure. 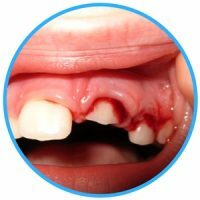 While these techniques can work to stop bleeding from occurring, they are only temporary solutions until you are able to see an emergency dentist in the Portland area. When you lose a tooth, it can be quite an overwhelming experience. In the midst of all the chaos, you will want to try to locate the knocked out tooth. There is a chance that a Portland dentist may be able to place it back into its missing spot. Try placing it back into this area to help keep it moist until you are able to see an emergency dentist. Be sure you absolutely do not try to force it into place as this can damage it even further. If you are not able to place it back into its previous location, you will want to put it in a small container with milk to keep it safe. Remember to contact an emergency dentist in Portland quickly to prevent any increased risk of permanent damage. One of the biggest concerns that many people have when it comes to dental services is the dreaded extraction. 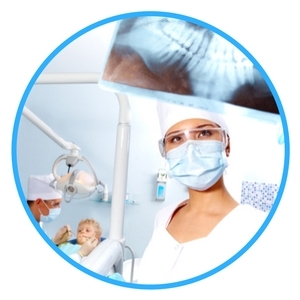 It’s important to note that most of the work dentists do is to help prevent any extractions from taking place. Your natural teeth are better equipped to assist you in chewing and also in helping to keep the structure of your jaw intact. That is why the main goal of many dentists is preservation. Because of this, an extraction will become a last resort. That is why you know that it is something serious when a dentist recommends that you get an emergency tooth extraction. This process involves removing the tooth from the root from its location in the gums. 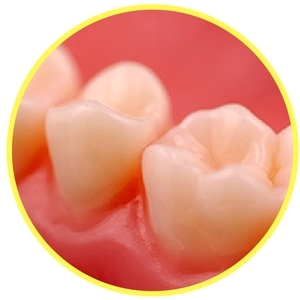 It is usually a necessary treatment when the decay in the tooth is so bad that the tooth can no longer be saved or when there is trauma to the tooth. You will be given an anesthetic to help keep you comfortable during the procedure. You may also notice that you still are experiencing some numbness in your mouth even a few hours after the procedure is finished. This is all completely normal and is to be expected. Once the procedure is completed you may have a small piece of gauze on the affected region to help reduce any bleeding and help the area clot. Do not remove this gauze until you’ve had it on for 45 minutes after you left the office. This can help greatly in the healing process. Make sure you follow all instructions given by your dentist and do not rinse out your mouth with anything for up to 24 hours after your extraction was completed. Some pain and swelling are natural parts of the healing process. You can reduce both by using a cold compress outside of your mouth in the area of where the extraction was completed. An over the counter pain reliever, or a prescription medication given to you by the dentist, can also help to alleviate any pain you may be experiencing. When you are in the middle of a dental emergency, you may be confused on where you should go to seek the best possible treatment. Most people turn to their local emergency room to ensure they get treatment for a dental condition. However, this isn’t always the best option. While an emergency room is a great place for trauma-related incidents, they don’t have the needed tools and experience to help diagnose and treat dental conditions like a dentist does. Dentists are trained and specialize in the anatomy of the mouth, which makes them much more qualified for dental emergencies. Often times, no one understands or knows that there are other options out there when it comes to treating a dental emergency. In fact, the use of an emergency dentist may be the best option in many situations. If you are someone who suffers from a long term chronic illness or immune system condition, a trip to the hospital might not be a bad idea for you as they are better equipped to handle any complications that may arise from your additional conditions. Portland, Oregon as one of the largest cities in the state offers a host of different emergency treatment options for you to choose from. Emergency Tooth Doctor is open 7 days a week all 365 days a year for treatment options. This is not a 24-hour clinic or office, but Dr. Thomas Pham is able to provide you with treatment and services during his afterhours operations and even walk-in times. Emergency Dental Care USA of Portland features extended operating hours from 9 am until 9pm, almost every day. The only day of the week the office is closed is on Thursdays. This gives you a wonderful option in finding emergency dental care regardless if you have insurance or not. When seeking out a new dentist, such as an emergency dentist, you will want to check with your local dental society to ensure all qualifications and certification is present. Remember when it comes to your oral health, or the oral health of your family, there is always a dental professional in Portland available to help. This Emergency Dentists USA health portal is only to be used for informative purposes only. It should not take the place of professional dental or medical advice. If you find that you are in a dental crisis and are not able to reach a dentist, you should always call 911 to ensure a prompt response and your safety.